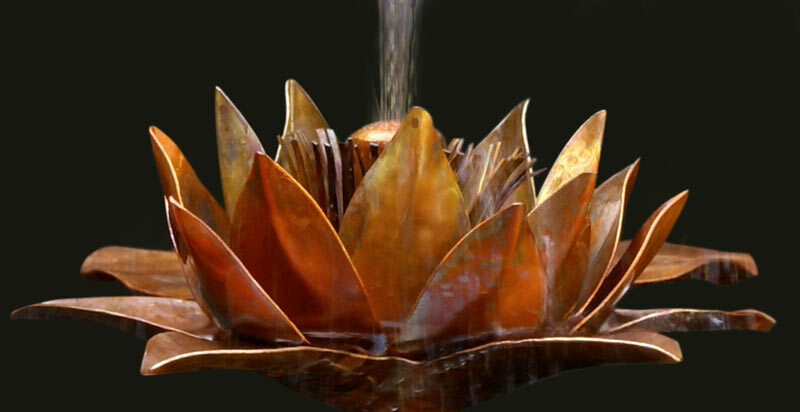 A Water Lily Copper Fountain in your pond, what could be better? 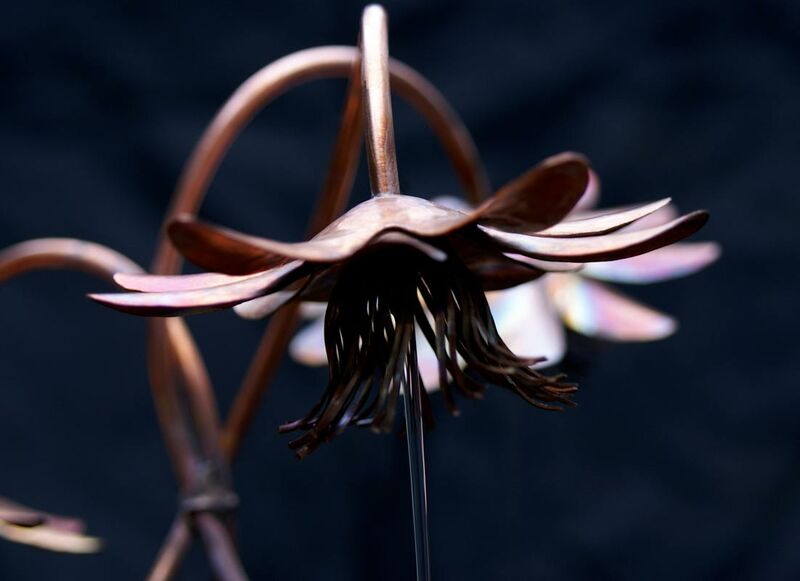 A flower (22cm in diameter) sits in the midst of five lily pads and the water is fed through a single central jet. 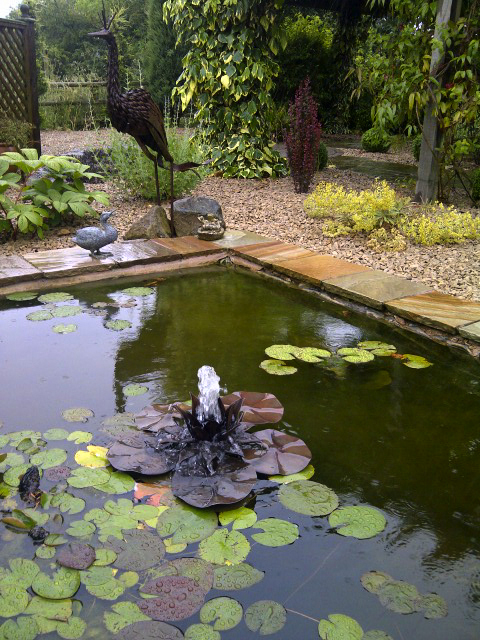 The fountain as a whole, is 60cm in diameter. 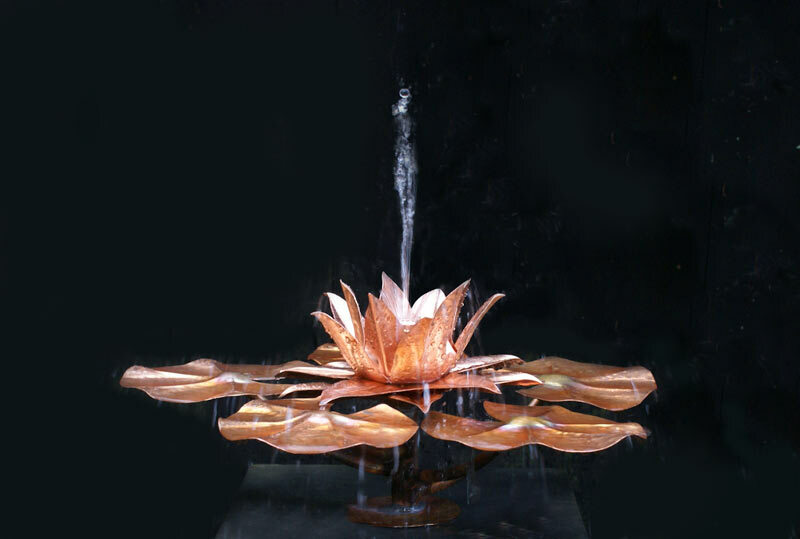 Originally a much larger design made for public display, this popular copper water feature has been resized to allow for installation in the more modest pond.